Nonprofits clearly see the potential that major gift fundraising success might offer. Now, we have over 550 nonprofit leaders sharing their personal challenges in major gift fundraising. The floodgates have opened here, folks. Read on for hopes, dreams, frustrations, struggles – that you are probably quite familiar with. 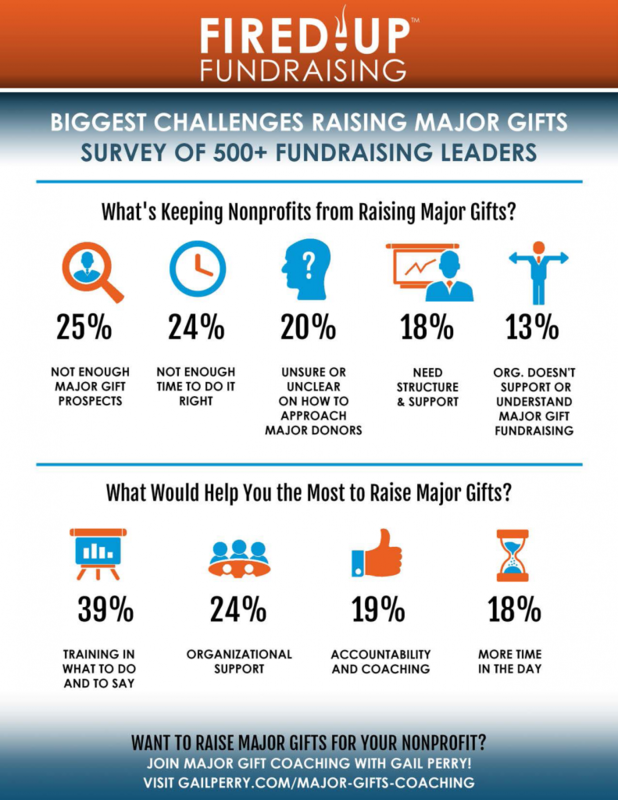 What are the challenges holding us back from major gift fundraising success? Development directors and staff fundraisers know what is possible but the organizational support is not there. They are given too much to do. Too much to juggle. Major gift fundraising has to go on the back burner. Board members think major gift fundraising is distasteful. They refuse to open doors. Executive directors set unrealistic goals. 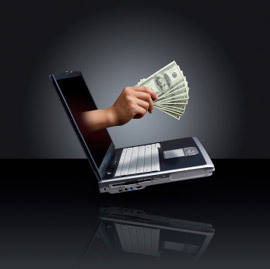 Budgets shortchange investments in major gift fundraising. Volunteers want to stay focused on events instead of major gifts. Question 1: What’s your biggest challenge raising major gifts? Many respondents said they were simply were unsure HOW to identify major gift prospects. How do we find the people with money? We have no idea how to research to determine who might be a prospect. How do I recognize a major gift prospect among our current donors and also how do I find someone with money who has never given? We are uncertain as to who to ask for donations. This barrier showed up especially in responses from smaller organizations. It seemed that it wasn’t that there weren’t enough prospects. Instead the issue was we don’t know how to identify them. Many fundraisers have too many conflicting demands on their time. They’re wearing too many hats, often in under-staffed shops. They’re asked to handle a wide variety of time-consuming tasks. Here’s where much of the frustration lives, because staffers clearly see that they are spending time on less profitable, less productive tasks, simply because there’s no one else to do them. I spend too much time setting up processes, entering donations, getting thank you letters out, with little time to move forward to bring us to the next level. No admin support so I spend all my time on admin tasks instead of major gifts. I am one person doing major gifts, grants, 2-3 events, material production and editing, marketing and now have been told I need to manage the database too. Hard to get the kind of results expected with that type of workload. 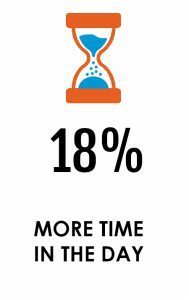 Some staffers clearly saw that it was really a combination of not enough time to invest in prospecting and developing relationships. Lack of depth in prospects is still a major issue, but it stems from not valuing the time it takes to build that prospect pool. I wish it was a single issue, but really includes finding prospects and building those relationships, having the time to do that. There’s much confusion about how to start developing relationships with major donors. 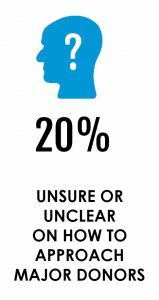 Respondents share that they just don’t know what do to and say, and how to get donors to respond to them. We don’t know how to approach people with money. What do we do when our donors don’t seem to want to talk to us? Our donors are not open to meetings. Reaching the donors and securing the ask is troubling. We need coaching on how to identify and cultivate more major donors – we don’t know where to start. Again, Executive Directors don’t understand how it works. Our ED thinks we can just call, get the appointment and ask. Oh! And it is my responsibility. Many nonprofits are simply not structured for major gift fundraising. There’s no one in charge, and no clear responsibility for results. When major gifts are just something to get to when we have time – the last thing on the list, we can’t expect great results. Need the staffing structure to make it happen properly. We have the prospects, not enough people to reach out to them all. Really need help in identifying donors and making a plan. There is no internal structure and support – I have to do everything myself. Many fundraisers are operating in an organizational culture that does not support major gifts. There’s literally no structure or support for this type of fundraising. Or the organization is not willing to invest time and money in developing major projects. Leadership doesn’t understand exactly what it takes – especially the time commitment required to nurture long term major donor relationships. Board members find it distasteful to ask potential major donors to consider a gift. No clear duties are allocated to major gift fundraising. Budgets don’t provide resources for major gift fundraising. Bosses think fundraisers should stay at their desks instead of being out of the office meeting with donors. Everyone thinks it is someone else’s job. Our leaders are totally unaware of how fundraising works, especially for major gifts. We need to change our culture to support major gift fundraising. We all know what needs to be done, but don’t have the structure and support of the director. 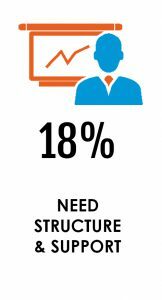 We need the structure and support in the organization to do it. It is not the organization that doesn’t understand, it is the board. It’s hard for people to understand that it takes time. I can’t just blurt out an ask on the first visit. My ED has no idea: Just a “get out there and go to meetings” command. What Would Help You the Most to Raise Major Gifts? Fundraisers shared a long list of areas where they wanted training or coaching. It appears that they are quite willing to tackle major gift fundraising but simply don’t know how to do it. With training in what to do and say, it seems that many fundraisers could be quite successful bringing in major gifts. I’m unsure of “how to get in the door” when we are just beginning major gift fundraising. I need help specifically on getting the meeting. 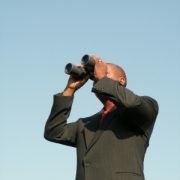 I want training in prospecting. I need my prospects to agree to meet with me. How do you tactfully move to the next step with a donor? How to best convey the “heartstring” need to donors? I have a fear of flubbing up! Many fundraisers shared that their board was an impediment. When board members refuse to support the fundraising process, staff fundraisers are never as successful as they could be. Board claims not to know anyone who can make major gift as there are no industries in our area. They don’t want to ask individuals who probably could make a major gift. 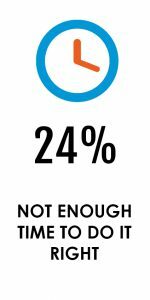 Board is not engaged in fundraising in the most effective way. They are very hesitant to engage. I’m having a hard time trying to convince board members that they can help by simply setting up a coffee or lunch where I can meet the donor. Our board has no interest in helping to open those doors. The board does not support or understand major gift program. Many respondents shared that they needed a clear plan and structure. Who is responsive for major gift fundraising? Who does what? Who reports when? Several said that they thought they could be successful if they had an effective accountability system in place to track and manage the entire process. First, I need a system/infrastructure to organize the process and keep track of it. I need help staying organized to make sure I am prioritizing correctly and not missing any good prospects. I feel like I need a mentor or guide, more so than another class or training. I need help organizing a pipeline and a tracking system. Accountability would help with everything – we make time when we have to be accountable. With overly heavy workloads, it’s no wonder that fundraisers are not successful bringing in major gifts. I don’t have enough time to do it right because we are always rushing on to the next project that our ED wants us to do. How do I keep up with the pace as more gets added? I think I could be successful, but I don’t have the time to do it right. Nonprofit staffers clearly understand the potential that major gift fundraising offers. But it’s the organization that holds them back. With training, coaching, teamwork, systems, accountability, and a clear structure, every organization can be successful at major gift fundraising. Would you like to overcome the challenges keeping you from raising major gifts? My Major Gifts Coaching can help you raise the big money that is out there for your nonprofit. You’ll start to bring transformational major gifts into your organization, so that you’ll finally have the funding to do your important work. You’ll get an accountability system and infrastructure that will keep major gifts flowing into your nonprofit for years, so you won’t have to start over all the time. 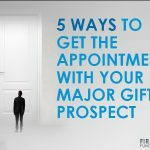 You’ll get your major prospects identified, get a priority system, set up cultivation plans and make those asks, so that you’ll actually close generous gifts. You’ll get your entire board and team trained by me in major gift fundraising so that you’ll all share the same language and have the same tools and skills. You won’t be alone any longer. You’ll have me as your major gift coach and mentor for 10 months next year, so that you’ll have my help when you need it. 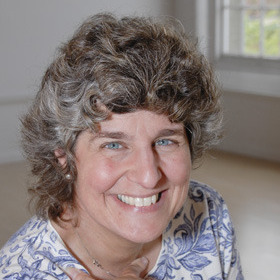 I’d love to chat with you about whether coaching is right for you! Let’s bring in those major gifts to YOUR organization! Thank you so much for the fantastic retreat this morning!!! Our board members (and staff) are energized and ready to begin the work ahead. Thank you for the extraordinary training session you conducted for the Museum this past Saturday. It was informative, thought-provoking and fun. In these challenging times, where resources are scarce, an organization would be wise to use some of those resources engaging your firm. I really like the way you involve your audience in the discussion with numerous exercises and activities. That really helps people immerse themselves in the topics and creates important buy-in to the subjects discussed. Love your blog and ideas. They inspire, remind and provide ideas that I use all the time. Your MPI suggestion is a nice was to remember what seems to me one of the very basic parts of what we do. Thanks for the impact you have had on my career. Great investment of time and money. I have never seen this group be more engaged and excited about fund raising- and believing we will be successful! We sure are on FIRE here!